This beautiful oxidized show piece is sure to get loads of appreciation from your guests. The love birds radha and krishna makes the product spectacular. 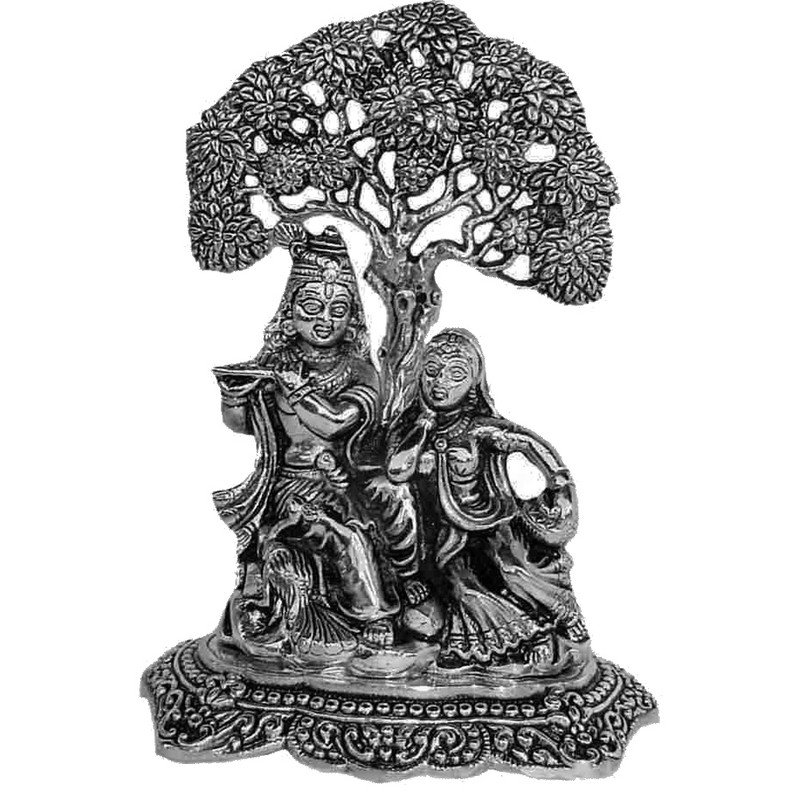 Read More..Krishna and radha are seated under a tree with great detailing is done on the leaves of the tree. Krishna is illustrated here as the flute player with radha engrossed in the harmony of the lord and the flute. Rich details are done on the product. Show Less..